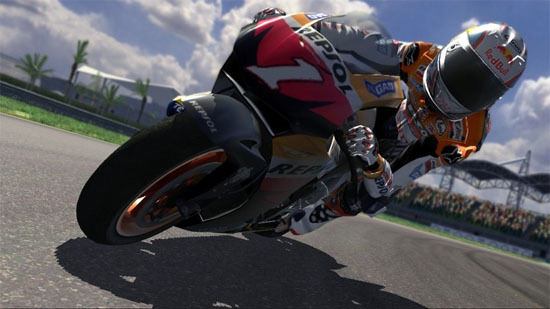 MotoGP 07 races its way onto the XBox 360 that transforms gamers into a professional motorbike racer at insane speeds and next generation graphics. As the MotoGP series is the definitive motorbike racing game in the console world, this latest incarnation adds a few new tweaks to the franchise such as improved graphics and adjusted gameplay. As the old "proverb" goes, "if it isn't broke, don't fix it" and MotoGP is truly one of those games such as EA's Fifa 08 because it's already almost perfect. 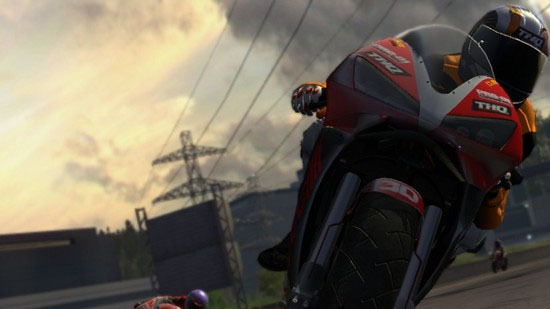 MotoGP also contains a variety of gameplay modes from Championship to Time Trials, allowing for a wide myriad of racing styles. Probably the most distinct change to the franchise is the addition of skill points in the Champion Mode that allows the player to allocate points to speed, acceleration, braking and cornering. 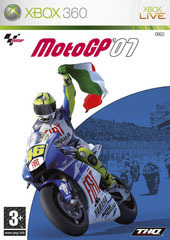 This RPG aspect of MotoGP 07 gives the gamer a variety of different options, ensuring added longevity to the title and improved gameplay. Fortunately these points can be redistributed throughout the game which allows you to tweak your racing options throughout the game. For those unsure on the control systems of the title, MotoGP 07 also features a tutorial teaching you the basics of the game and riding skills. The control system of MotoGP 07 is quite apt with the XBox 360 controller which is perfectly mapped and allows for a variety of different accuracy settings. For instance, the left stick controls the balance of your rider and pushing left or right, it will steer your motorbike. You can even move your character up and down which allows for reduced wind resistance, depending on the track. Other tweaks to the control system is that the shoulder buttons are used for your front and rear brakes that easily makes this title one of the most accurate to date. Although it may sound a little complex, the control system of MotoGP is handled quite well in this game and may take the more inexperienced gamers a little while to master but it's definitely worth the practice. Although MotoGP 07 is a great single-player experience, the title features some brilliant online support thanks to XBox Live. Whether your playing against players from around the world or challenging the titles AI racers, MotoGP is definitely the most thrilling and entertaining excitement you'll get in a racing game. Graphically, MotoGP 07 looks fantastic on the XBox 360 with detailed and realistic bike and rider models that move with a real-world grace as they zoom around the tracks. Even the small touches such as scuffs, tire marks and oil marks on the road become more profound as you race. The background environment of MotoGP 07 are a little dated when compared to the great bike and rider details that are rather plain and uninspired. Hopefully in the next incarnation of the MotoGP series, the developers can work on creating more detailed background environments. 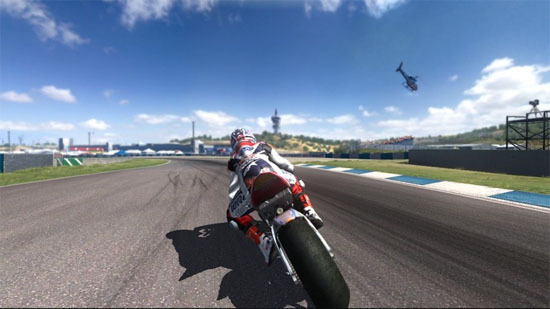 The sound effects of the game are well implemented into the title that feature all the sounds you would expect to hear at the MotoGP from the grunts of bike engines, skids and crowd effects that go hand in hand with the gameplay and graphics. The in game music of MotoGP is a little flat but it does suit the genre and its background ambience assists in transporting you into this realistic racing game. In conclusion, MotoGP 07 features some great new additions to the franchise with a new and improved control system plus the new RPG award system for the riders. The graphics is a little bit of a downfall because the background environments are too plain and look more like an XBox game rather than a 360 game. Needless to say, MotoGP 07 is still the best motorbike game out at the moment and is recommended to all those gamers who love bikes. Good stuff!